Getting your visa can seem frightening, but it is not as much paper work as you think. 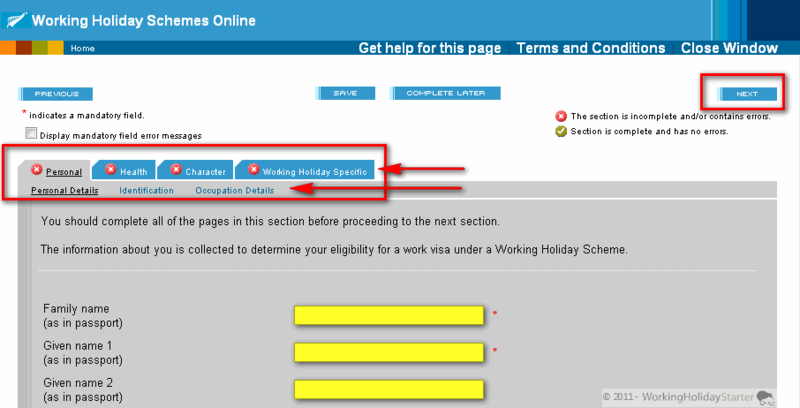 Take 10-15 minutes to fill a few forms to get your working holiday visa online. We’ve made it easy for you, just follow the guide. It is designed to help you go through the steps of an ONLINE application. 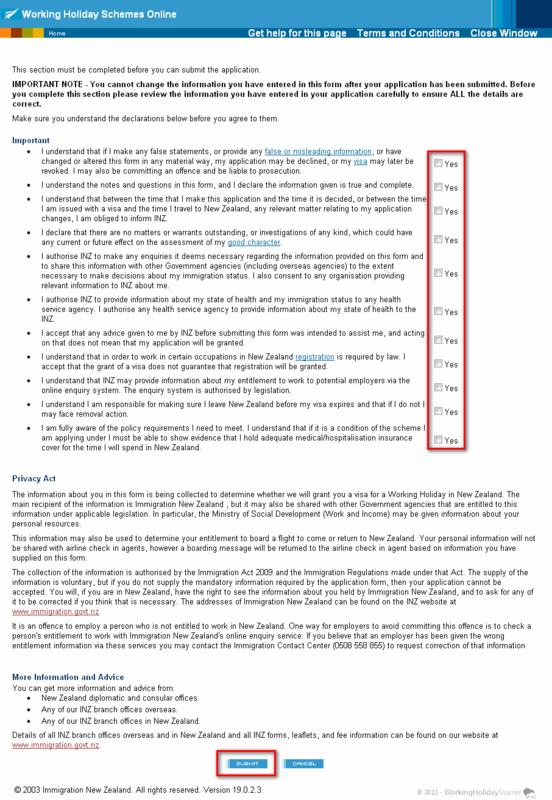 Should you need to submit a paper application, New Zealand Immigration will provide you with a small guide. First, look around to find your passport. Got it ? 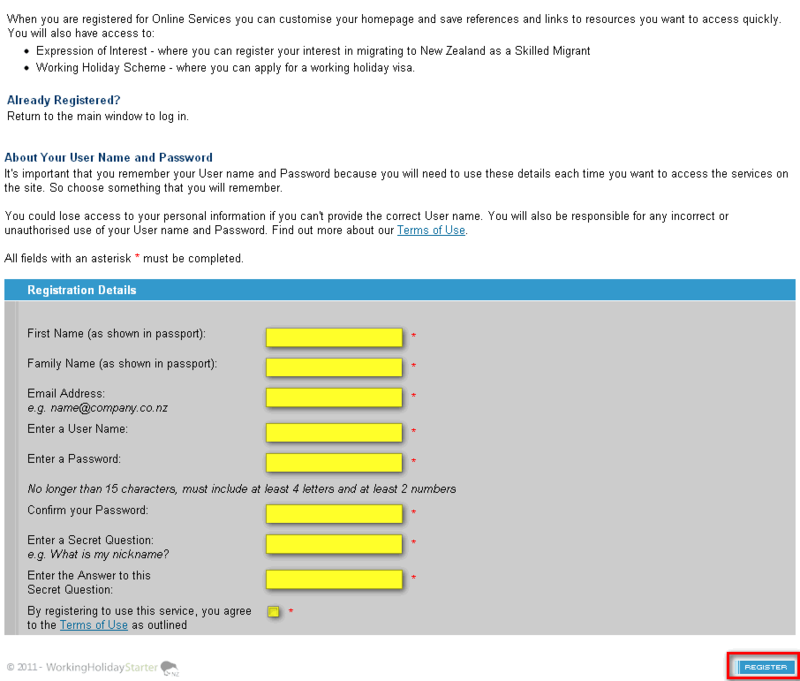 Now go to NZ immigration page and let us guide you throught it. 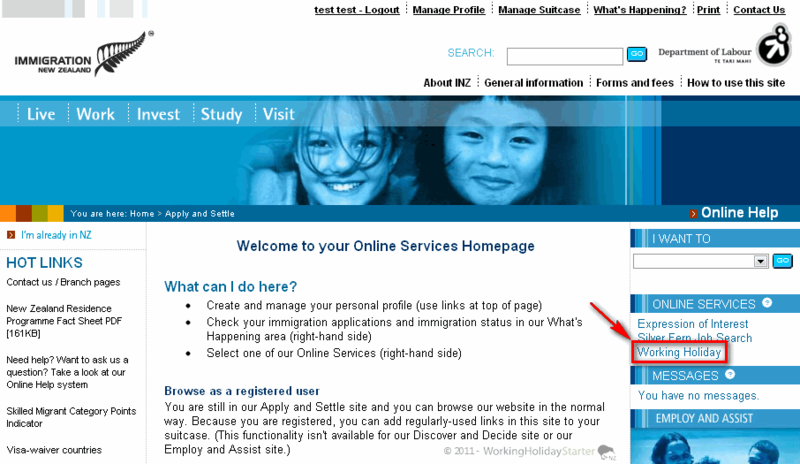 You can now create your profile that will allow you to apply for a visa. You now will receive an email with a link. Check your email box. 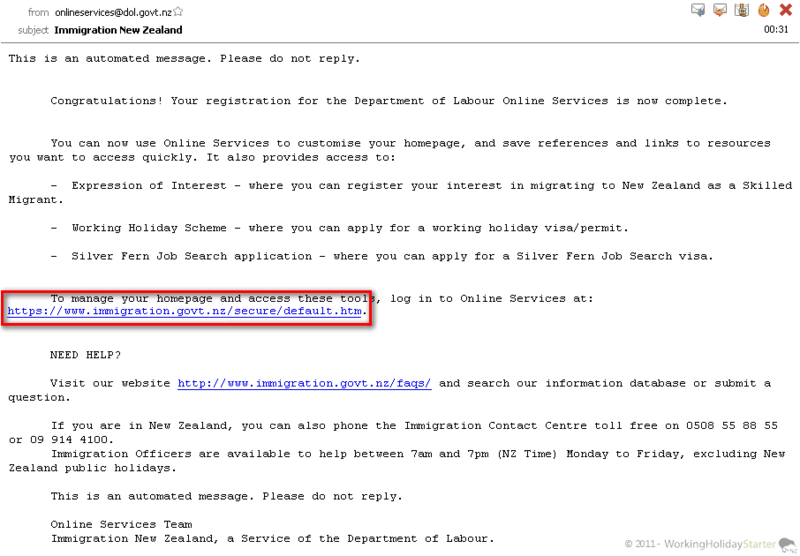 In your email from immigration New Zealand, click on the link. Now that you are registered, you can apply for your Working Holiday Visa. Enter your user name and password to enter your personal page. Then select your country to see if you are eligible. 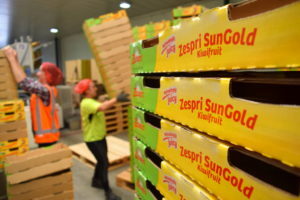 If your country does not offer a Working Holiday Visa with New Zealand or if the quotas have been reached you will know it here. Now click on “Apply Now”. Be sure to fill every field, for each tab : “Personal”, “Health”, “Character” and “Working Holiday “. Under the “Personal” tab, fill your “Personal details”, “Identification” and “Occupation details”. Once you’re done, every tab should appear with a green logo. Now save and submit your application. 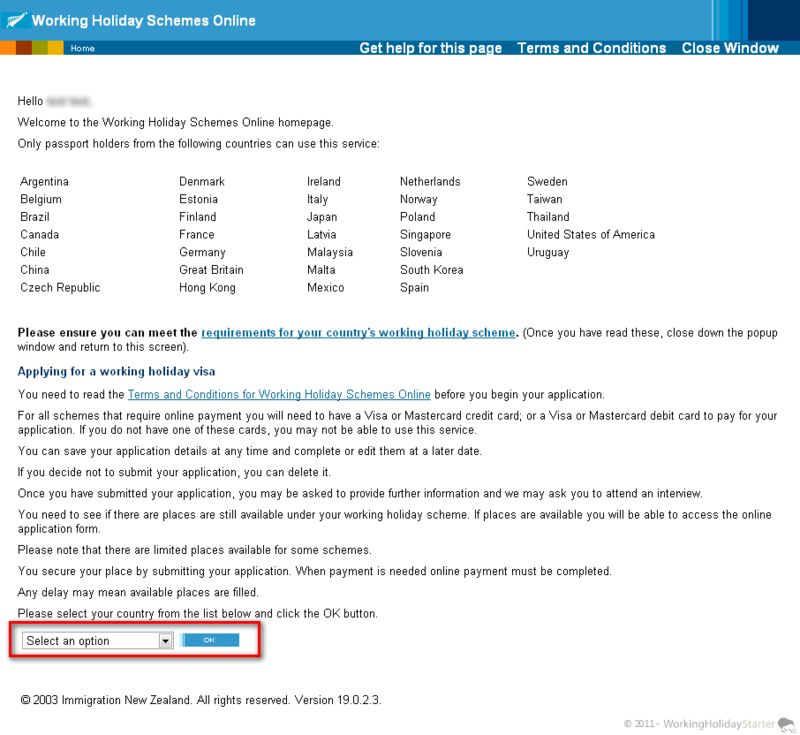 You have now submitted your Working Holiday Visa request, to finish the process you now have to pay the NZ$165 administration fee. Click on “Pay Now”. Get your credit card, VISA or MasterCard only. 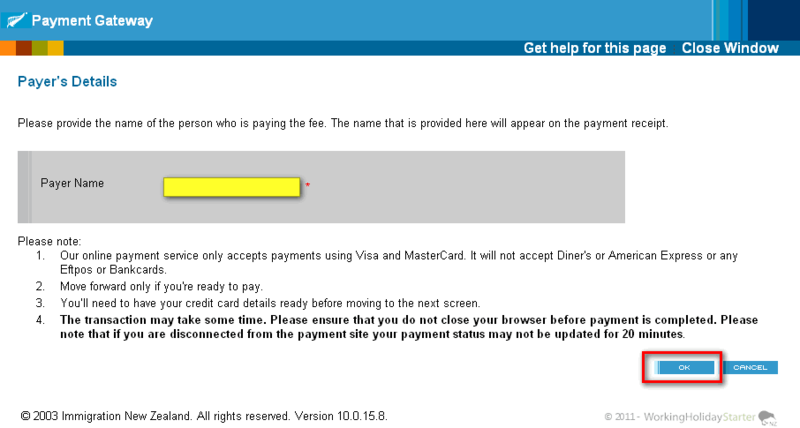 Then click on “secure payment site” to be redirected to the “Payment Gateway”. Enter your name in the box. Be careful, that will be the only way to prove your payment, so be sure to enter the same name that you use for your Visa request. Then click “OK”. 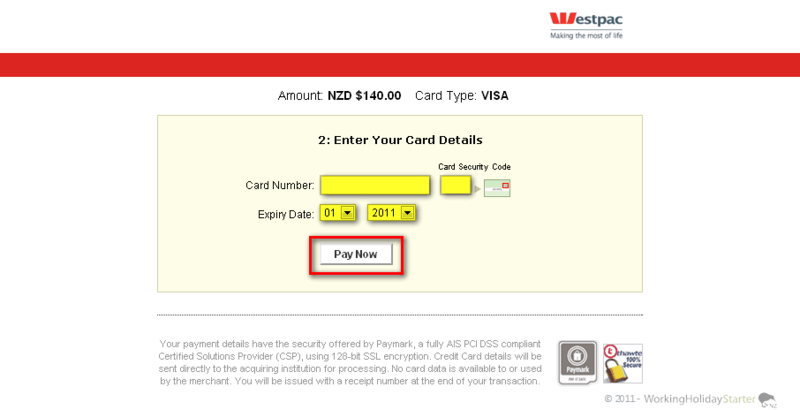 You are now on the Westpac Payment website, click on the VISA or MasterCard logo. 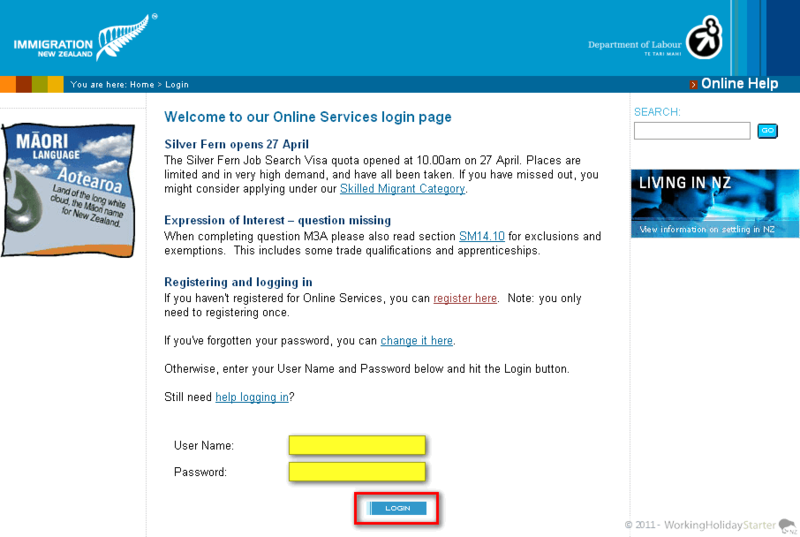 You now have to enter your details and click “Pay Now”. You will soon receive confirmation of payment. Be sure to print a copy of the Visa Email and your 12 month Medical & Travel Insurance and bring them with you on your arrival into New Zealand. 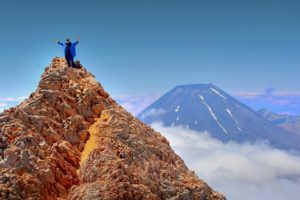 To organise your first week in New Zealand and get support once here, check out our Starter Pack comparison chart. This should will help you to look for work, give you tonnes of discounts and much more.